This is one of the first snacks I learned to make by myself when I was growing up. It is a slightly more cosmopolitan version of "pizza toast." When I was in middle school, my favorite thing to eat when I got home from school was pizza toast. I would take a piece of bread, slather it with jarred pizza sauce, then cover it in shredded cheddar cheese. After 15 minutes or so in the toaster oven, I had an amazing snack! As I got older, I realized I could make the same thing without the processed pizza sauce. 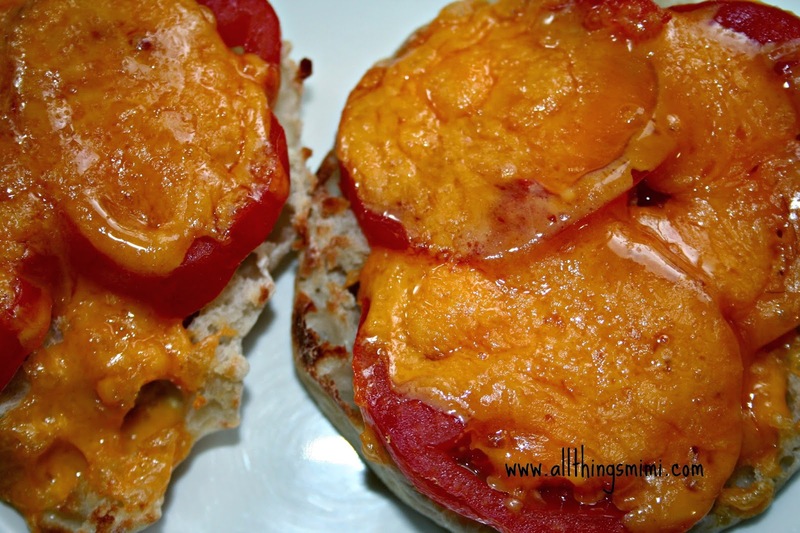 Now pizza toast has become whole wheat English muffins with sliced fresh tomatoes, cheddar cheese and fresh basil (if I have it around). This gets served as breakfast, lunch or dinner around my house. Possible toppings are endless. It is a quick and semi-healthy snack!